You absolutely never know what you're going to find in a Habitat for Humanity ReStore. 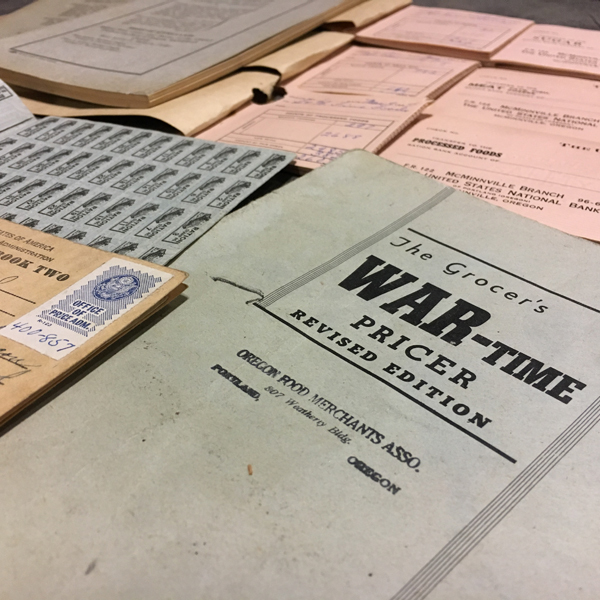 Take for instance this fascinating collection of WWII ration books from the McMinnville Branch of the United States National Bank. We read about them on the WWII National Museum website, but you probably know much, much more...and treasure these remnants of the past. Exam them at the Beaverton ReStore where they are on auction until 3pm Friday, March 29. Bids accepted in person only.